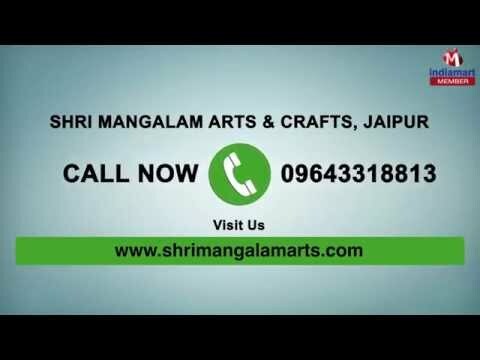 Welcome to Shri Mangalam Arts & Crafts, established in the year 2008, we are one of the finest manufacturers, suppliers and wholesalers of this commendable range of Indian Handicrafts. Making of this range is done in compliance with the set industry norms and guidelines, utilizing the finest raw materials and modern equipment, by reliable and skilled professionals. Owing to this, the product has its finishing, elegance, sturdiness and resistance to corrosion, highly ensured. Further, the range made up of the finest Brass Ice Cream Cup Set, Brass Mango Shape Tray and Brass Oyster Shell Shape Tray, is widely acclaimed and asked for. Further, we have a huge client base, comprising some of the most reputed names.